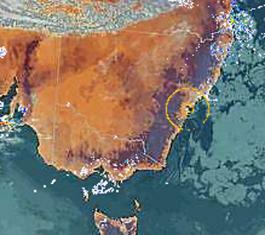 Large UFO appears on Australian radar as new pattern appears. as New Strange Pattern Appears. 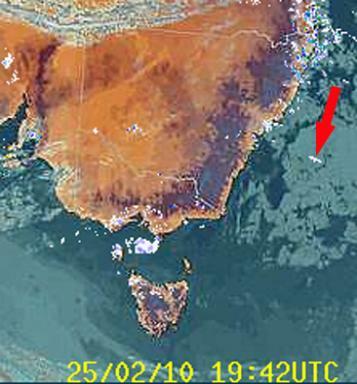 another new pattern on the north coast thousands of miles away. the north coast. 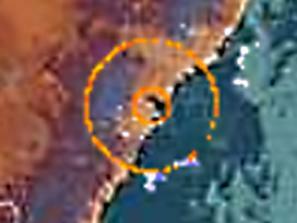 This was a clockwise spiral arm design again a first, never seen here before. 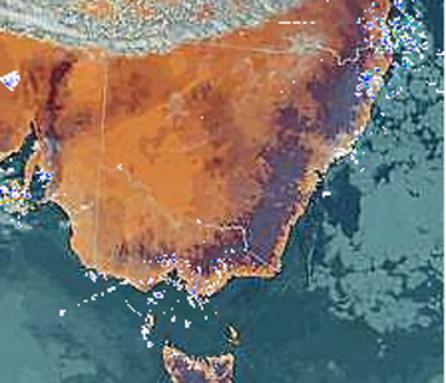 frequencies causing yet another new symbol to appear on the BOM national radar. Take a look below at the sequence of events along with the evidence. 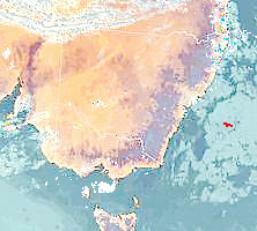 This shows the object as it moves south east into the Tasman Sea. Sea and heading south east. 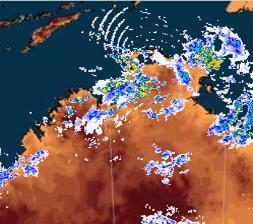 The actual radar image showing the object (white) just off the coast. 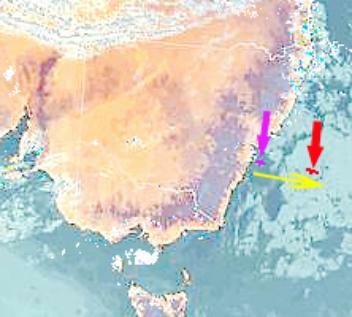 Red arrow inserted by me. 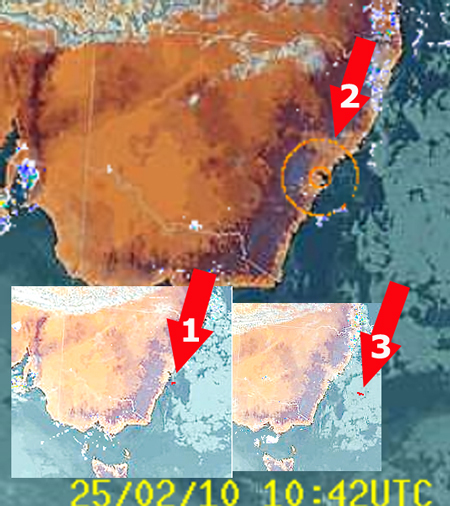 coast followed events over Sydney. 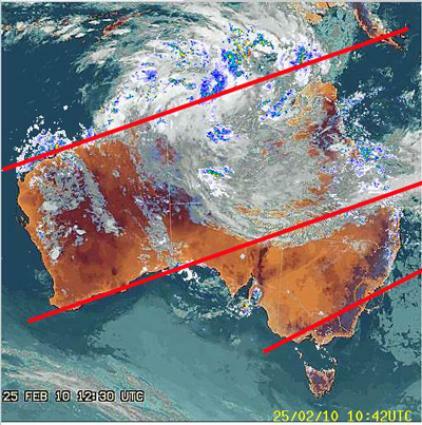 To read the full investigation into strange effects seen on Australia Bureau of Meteorology radar system go HERE. 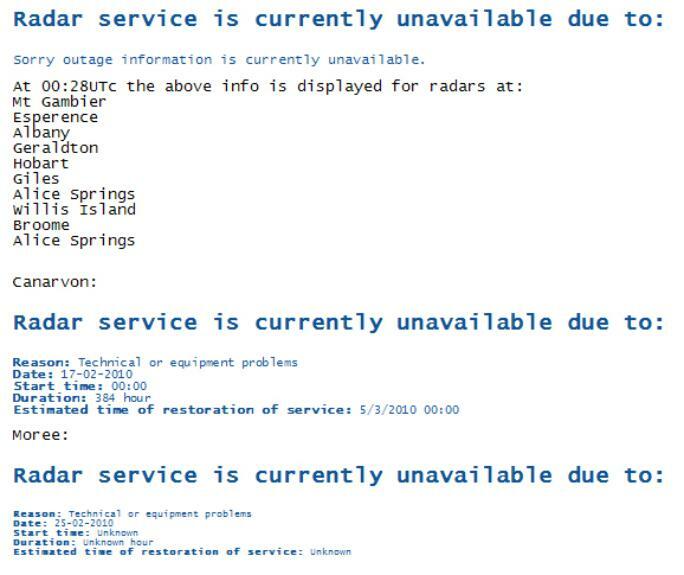 Right now, at 00:28UTc 27 Feb there are 12 Radars out of action out of about 50.
marked changes and less useful evidence of a deliberate program? 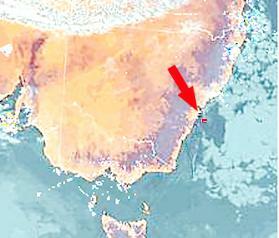 appearance of the large object. looked as if they formed part of a grid and perhaps a covert project of some kind. Bureau of Meteorology system - we are about to find out.